What is it like to live on the West Coast? The largest state on the West Coast is California, commonly known for its beaches, parks, and warm weather. This region of the country has a diverse population and landscape. It is one of very few places where you can experience oceans, vineyards, mountains, and more. One of the best cities to visit or move to in California is San Diego. Just ask one of its 1.4 million residents. In San Diego, you can toss your winter clothes in exchange for t-shirts, shorts, and flip-flops, because the weather is outstanding. It’s not just the weather that is all the talk of the city. San Diego is also home to several large universities, which is great for students looking to continue their education. Don’t forget about the many museums, gardens, and art galleries you will find within the city. 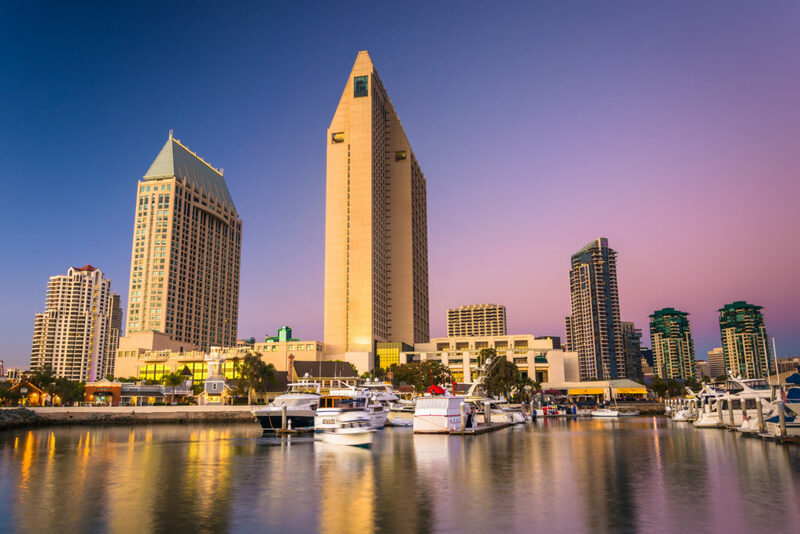 If you are planning to travel to San Diego, whether for vacation or a more permanent stay, using car shipping services can save you time and energy. Car shipping is a stress-free way to get your vehicle to your destination, safely and quickly. If you are about to make a long-distance move, you have several options when it comes to moving your car. Although you can choose to drive the car yourself, this involves countless hours on the road. The better solution is to hire an auto shipper to transport your vehicle. Here are a few of the advantages to shipping a car. One of the most important reasons to ship your car rather than drive it is to avoid the hazards of the road. When you drive your car, you are putting both your vehicle and yourself at risk. You could encounter bad weather, traffic, unfamiliar roads, and more. In addition, road trips put a lot of mileage on your vehicle which can decrease the value of your vehicle. Spending hours on the road is no fun, and it can also be rather stressful. Hiring a professional car shipping company means less stress. This is the best option to get your move off to a good start. Fly to your destination, and leave the car shipping to us. You won’t regret it. Instead of spending hours, or even days, driving to your destination, you could be there much quicker. Ship your car, and fly to your new home. This is especially beneficial for business professionals. You won’t have to worry about taking off weeks of work or using up those valuable vacation days on travel. Car shipping could not be more easier. We work with you to decide on the best shipping options to fit your needs. After you call to book services, the driver will come pick up the car for delivery to its location. All the work is done for you. Learn more about the Benefits of Car Shipping. If you live in San Diego, it is hard to compare the city to anywhere else. If you are planning a visit to the area, it just might be love at first sight. San Diego is truly a great place to live, no matter how you look at it. Here are a few things you should know. Is winter even considered a season in San Diego? Winter or summer, the weather is nearly always 70 degrees with sunshine. Depending on where exactly you live, temperatures may dip into the low 60s or reach into the 80s. Living in the city has its perks, but oftentimes, it comes at a price. Depending on where you are moving from, the rents and mortgages can seem overwhelming and a bit outrageous. In reality, San Diego offers more affordable housing options than other California cities, such as San Francisco, San Jose, and Los Angeles. Since the weather is so nice in San Diego, you can guess where many people choose to spend their free time. That’s right – the beach. With 70 miles of coastline, your options are endless. The beach is more than just swimming and relaxing strolls. Many residents and visitors also enjoy surfing, biking, and fishing. Between the San Diego Zoo and SeaWorld, the city offers many opportunities to learn about animals, both on land and in the water. The San Diego Zoo offers a variety of exhibits including Africa Rocks, Asian Passage, Northern Frontier, Panda Canyon, Outback, Elephant Odyssey, and more. You can even take part in animal encounters and interactive experiences. SeaWorld allows you to get up close to penguins, dolphins, sharks, and more. The park also has water rides and roller coasters. Residents enjoy yoga, running, surfing, rock climbing, and anything you can think of to get the blood pumping. Balboa Park is one park that offers opportunities to get out into nature. There are walking paths along with recreational facilities. You can even take your pup with you for a walk. We believe that it is important that you know who you will be giving your keys over to. National Dispatch is a car shipping company with years of experience in the industry. Our headquarters is located in Cocoa Beach, Florida, but we ship cars anywhere in the United States. If you are looking for an experience customized to fit your needs, then you have come to the right place. We offer competitive car transport rates coupled with the best customer service you can find. We understand how important your car is to you. Therefore, we put the safety of the cars we transport, first. If you are in need of our San Diego car shipping services, request a free, instant car shipping quote. No personal information is required to get a car transport rate in seconds. If you prefer to speak with one of our agents, you can give us a call at 800-321-2051.